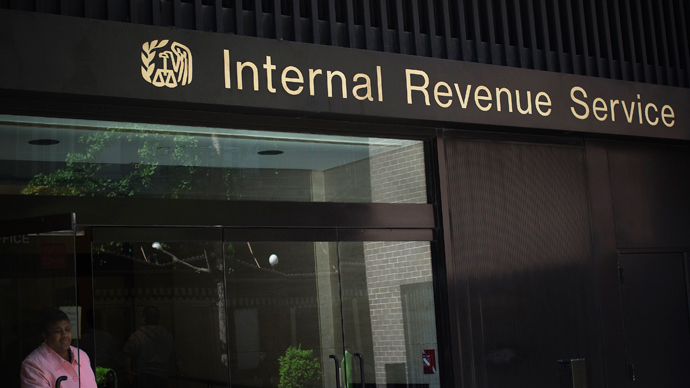 The Internal Revenue Service (IRS), already embroiled in a high-profile scandal over its operations, is looking to acquire surveillance equipment that includes cameras concealed in plants, coffee trays and clock radios. The Washington-based agency seems prepared to take the tawdry task of tax collecting to a higher level with state-of-the art spy equipment. "The Procurement Office acquires the products and services required to support the IRS mission,” according to its website. The IRS seems in a hurry to procure the surveillance equipment: It posted the request on June 6 and ended the announcement for the tender on Monday, June 11. “If you feel that you can provide the following equipment, please respond to this email no later than 4 days after the solicitation date,” the IRS said. However, the solicitation for the spy gear seems to have been a mere formality, since a supplier was duly selected before the announcement of the tender. “If no compelling responses are received, award will be made to the original solicited corporation,” the IRS procurement statement said. News that the IRS is looking to buy surveillance equipment comes at a particularly challenging period for the agency. In recent weeks, the IRS has been thrust into the public spotlight after Republicans complained that the government agency was motivated by politics, targeting right-wing Tea Party groups that are critical of the Democratic Party and US President Barack Obama. At the same time, the government agency is coming under fire for wasteful spending. Last week, a report by the Inspector General detailed nearly $50 million in wasteful spending by the agency on conferences, including IRS employees receiving room upgrades at luxurious Las Vegas hotels, spending $135,350 for speakers, and another $50,000 on a parody video based on the ‘Star Trek’ television show. Meanwhile, the government agency appears to have broken the very rules it sets down for taxpayers, that is, being able to prove all of its expenses. “The IRS constructed a mock set at its television studio located in New Carrollton, Maryland, at a cost of $2,400. However, SB/SE Division management does not have any documentation supporting this amount,” the report noted. Members of Congress expressed their outrage over the spending spree, much of it coming at the height of the global financial crisis. “You cannot take the money of American workers and waste it,” said Rep. Elijah E. Cummings of Maryland, the top Democrat on the House Oversight and Government Reform Committee. Last month, Obama announced that the acting commissioner of the Internal Revenue Service, Steven Miller, resigned in the wake of news that the agency had used an excessive amount of scrutiny when dealing with conservative political groups seeking tax relief. The IRS, a bureau of the US Department of the Treasury, collects over $2.4 trillion annually from around 234 million tax returns.